Custom 4x2 square corners school contact magnets – 20 MIL lends you large imprint space for positioning your school contact details, logo/mascot or slogan. This school contact magnet becomes easily visible with its enormity and you can get it suitably done in any color. Being offered in cheaper prices, most school advertisers find it affordable and they can make huge savings on bulk orders. These durable contact magnets are perfect for gifting during most school events. 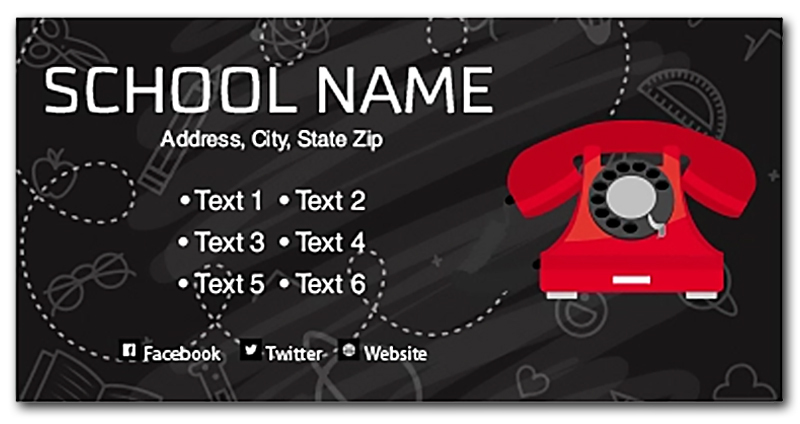 Request a quote to know more about discounts that you may receive on bulk ordering these custom 4x2 square corners school contact magnets – 20 MIL.